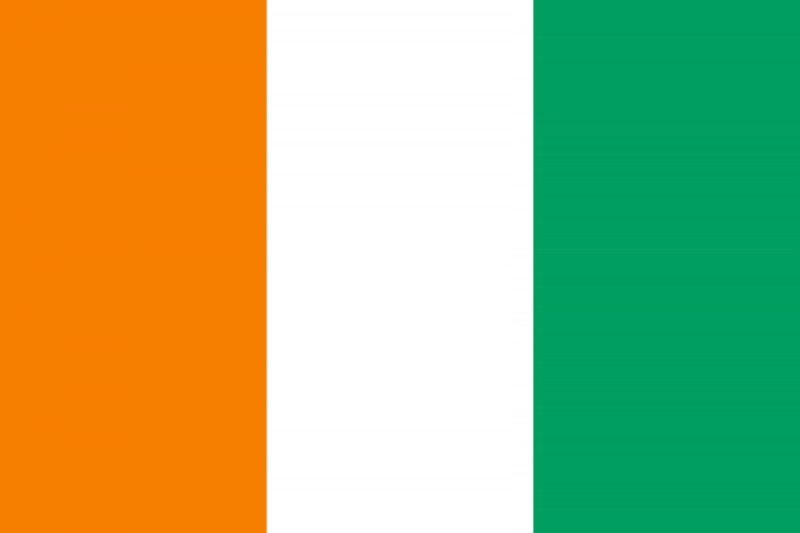 Cote D’Ivoire suffered a civil war from 2002-2007 that divided the country between North and South. Following the civil war, Cote D’Ivoire has seen political unrest, election-related violence, resurgent armed conflict and grave human rights abuses. Conflict in Cote d’Ivoire has disproportionately affected women and children, who represent the majority of victims, internally displaced persons, and refugees. Women also face increased discrimination and vulnerability. Though women were actively involved in organizing the peaceful transformation during the civil war, they were excluded from formal peace negotiation processes and represent a small minority of political representatives and public officials. From a recent academic analysis: Cote D’Ivoire developed the first NAP in Africa and was the first developing country to develop a NAP. Given the fact that the NAP was adopted in 2007, it is relatively specific and comprehensive compared to other NAPs of the time. Nevertheless, the NAP itself fails to mention whether civil society was involved in the NAP development process, although it does specify that civil society will be involved in the monitoring and evaluation committee overseeing the NAPs implementation. The NAP includes a relatively detailed background section, which contains a ‘situational analysis’. The Ivorian NAP lays out a comprehensive resource framework sheet that is disaggregated by year and sub-activity, but fails to identify where the required funds will come from (Miller, Pournik, & Swaine, 2014). WILPF International does not have a country section in Cote d'Ivoire and therefore was not involved in the development process of Cote d'Ivoire’s NAP. The Cote d’Ivoirian NAP’s design and implementation is overseen by the Ministry of the Family, Women and Social Affairs. Financial and technical assistance in development was provided by the government of Norway and UNDP, however there was no formal Civil Society engagement or consultation processes throughout the NAP's development. Women’s Civil Society Organizations such as West Africa Network for Peacebuilding-Cote d’Ivoire are actively involved in supporting national implementation of UNSR1325 and overseeing the implementation of the NAP. A range of new national women’s coalitions have been established to promote and defend women’s role in peace and reconstruction processes since the establishment of the NAP. This includes the Coalition of Women Leaders in Cote d’Ivoire, Organisation of Women for Peace (OFEP) and Organisation of Active Women of Cote d’Ivoire (OFACI). The NAP defines Civil Society Organizations as participants in the monitoring and evaluating of NAP implementation, and also enables them to seek ad hoc inclusion of new indicators through the National Coordinating Committee. The Cote d'Ivorian NAP was led by the Ministry of the Family, Women and Social Affairs. In addition, the NAP mentions how the Ministries of Planning and Development, Foreign Affairs, Justice and Human Rights, Economy and Finance, Defense, Interior, Solidarity and War Victims, Health and Public Hygiene, National Education and Reconstruction collaborated to develop the NAP. Cote d'Ivoire's NAP does not specify which institution is responsible for specific actions or priority areas. The section labeled "Institutional Framework for the Implementation of the Action Plan" reiterates what is said for NAP Development. The NAP designs a "National Coordinating Committee chaired by the Ministry of Family, Planning and Social Affairs" to monitor and evaluate government and civil society players relevant to the action plan each year. Every year, the committee publishes a progress report. Cote d'Ivoire's NAP is organized into four "Priority Areas" that mostly follow UNSCR 1325's priorities: The protection of women and girls against sexual violence, including female circumcision, inclusion of gender considerations in development policies and program, the participation of women and men in the reconstruction and national reinsertion processes, and strengthening of the participation of women in the decision-making process. For each "Priority Area" gives a "strategic result". For example, for "Priority Area 2: Inclusion of gender considerations in development policies and program", they give one "strategic result": Gender inequalities are reduced. The Cote d'Ivorian NAP is for the period 2008-2012, but does not include specific timeframes for actions. They do, however, include a loose timeframe for monitoring and evaluation (see below). The Ivorian NAP does not include an allocated budget, but has an estimated cost of 3,694,400,00 F.CFA. A ‘Resource Framework’ is included as the appendix, which lists the total annual estimated costs of each specific activity and the Ministry responsible. There is no inclusion of financial accountability mechanisms or time-frames for achieving relevant strategic results. "At the national level, a National Coordinating Committee chaired by the Ministry of the Family, Women and Social Affairs and gathering government and civil society players in charge of the issue is set up by an order of Ministry of the Family, Women and Social Affairs. The National Coordinating Committee reports to the Government about the status of the action plan. Each year, it publishes a progress report on the action plan and the results achieved." "For each project, a monitoring and evaluation committee is set up on the proposal of the Ministry of the Family, Women and Social Affairs by the ministry in charge of the sector. This committee is made of government bodies and civil society players working in the specified field. Each semester, the committee should produce a report on the activities carried out and the results achieved. An accurate time frame is designed." "Proposals for additional measures are directed to the National Committee for the Coordination of the National Action Plan for Resolution 1325/2000 which rules on their acceptances or refusal. Cote d'Ivoire's NAP does not include any details regarding disarmament.